by Marcia Evanick | Romance | This book has not been rated. 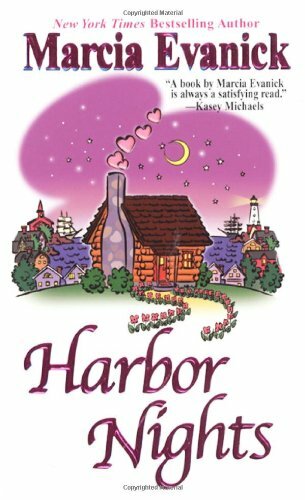 The magic of everyday pleasures permeates Evanick's contemporary romance in which a young woman and her newly divorced mother find refuge in the town of Misty Harbor, Maine. It's difficult for 24-year-old Norah Stevens to trust men after the shattering incident that led to her parents' divorce, and her new job writing a controversial column for the local newspaper doesn't help win friends. However, her mother, Joanna, leads the way as she takes steps toward establishing a new life, and then there are the Porters, the large, loud, loving family next door. Ned Porter, who often visits his parents' home, always expected to fall for an outdoorsy woman like his brothers' wives, so he's caught off guard by the ultra-feminine Stevens ladies. Throw in a spoiled but lovable Pomeranian named Zsa Zsa, and the rough-hewn builder isn't sure what hit him. Evanick (Blueberry Hill) has a gift for finding the humor in small details, and her story of opposites who attract unfolds with endearing warmth. Supporting characters provide delicious forays, including one in which Ned's two sisters-in-law enlist Norah's help to restore a little spice to their marriages. Agent, Karen Solem at Spencer Hill Associates. (Sept.) Copyright 2005 Reed Business Information. I enjoyed this entire series...and the whole thing is going to Cathepsut who picked it up in the Lonely Hearts Club Swap at Bookswaplive.com. Happy Reading! I'm not going to get round to this any time soon, so I rather let it go... Enjoy!